Although it is sometimes claimed that the face-veil was invented by the Byzantines, Byzantine art does not depict women with veiled faces, although it commonly depicts women with veiled hair. 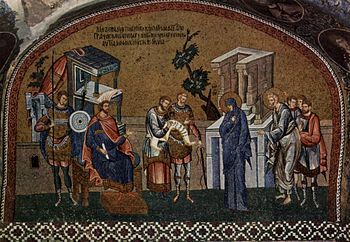 It is assumed that Byzantine women outside court circles went well wrapped up in public, and were relatively restricted in their movements outside the house; they are rarely depicted in art. The literary sources are not sufficiently clear to distinguish between a head-veil and a face-veil. Strabo, writing in the 1st century, alludes to some Persian women veiling their faces (Geography, 11. 9-10). 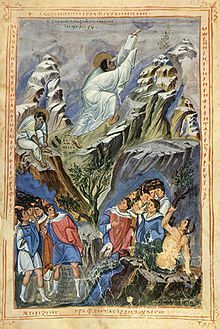 [not in citation given] In addition, the early 3rd-century Christian writer Tertullian, in his treatise The Veiling of Virgins, Ch. 17, describes pagan Arab women as veiling the entire face except the eyes, in the manner of a niqab. This shows that some Middle Eastern women veiled their faces long before Islam. The Byzantine love for colour had its sinister side. The races in the Hippodrome used four teams: red, white, blue and green; and the supporters of these became political factions, taking sides on the great theological issues—which were also political questions—of Arianism, Nestorianism and Monophysitism, and therefore on the Imperial claimants who also took sides. Huge riots took place, in the 4th to 6th centuries and mostly in Constantinople, with deaths running into the thousands, between these factions, who naturally dressed in their appropriate colours. In medieval France, there were similar colours-wearing political factions, called chaperons. The distinctive garments of the Emperors (often there were two at a time) and Empresses were the crown and the heavily jewelled Imperial loros or pallium, that developed from the trabea triumphalis, a ceremonial coloured version of the Roman toga worn by Consuls (during the reign of Justinian I Consulship became part of the imperial status), and worn by the Emperor and Empress as a quasi-ecclesiastical garment. It was also worn by the twelve most important officials and the imperial bodyguard, and hence by Archangels in icons, who were seen as divine bodyguards. In fact it was only normally worn a few times a year, such as on Easter Sunday, but it was very commonly used for depictions in art. The men's version of the loros was a long strip, dropping down straight in front to below the waist, and with the portion behind pulled round to the front and hung gracefully over the left arm. The female loros was similar at the front end, but the back end was wider and tucked under a belt after pulling through to the front again. Both male and female versions changed style and diverged in the middle Byzantine period, the female later reverting to the new male style. Apart from jewels and embroidery, small enamelled plaques were sewn into the clothes; the dress of Manuel I Comnenus was described as being like a meadow covered with flowers. Generally sleeves were closely fitted to the arm and the outer dress comes to the ankles (although often called a scaramangion), and is also rather closely fitted. The sleeves of empresses became extremely wide in the later period. 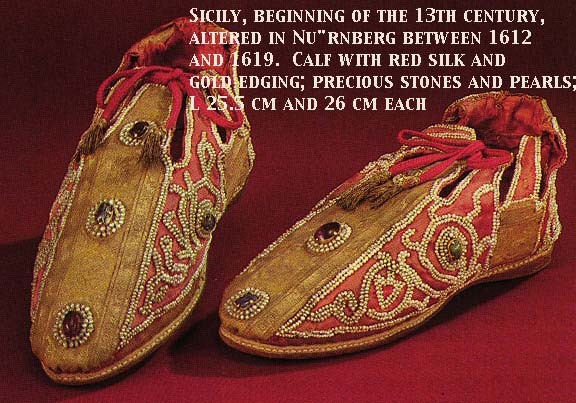 The Imperial Regalia of the Holy Roman Emperors, kept in the Schatzkammer (Vienna), contains a full set of outer garments made in the 12th century in essentially Byzantine style at the Byzantine-founded workshops in Palermo. These are among the best surviving Byzantine garments and give a good idea of the lavishness of Imperial ceremonial clothing. There is a cloak (worn by the Emperors with the gap at the front), "alb", dalmatic, stockings, slippers and gloves. The loros is Italian and later. Each element of the design on the cloak (see Textiles below) is outlined in pearls and embroidered in gold. Court life "passed in a sort of ballet", with precise ceremonies prescribed for every occasion, to show that "Imperial power could be exercised in harmony and order", and "the Empire could thus reflect the motion of the Universe as it was made by the Creator", according to the Emperor Constantine Porphyrogenitus, who wrote a Book of Ceremonies describing in enormous detail the annual round of the Court. Special forms of dress for many classes of people on particular occasions are set down; at the name-day dinner for the Emperor or Empress various groups of high officials performed ceremonial "dances", one group wearing " a blue and white garment, with short sleeves, and gold bands, and rings on their ankles. In their hands they hold what are called phengia". The second group do just the same, but wearing "a garment of green and red, split, with gold bands". These colours were the marks of the old chariot racing factions, the four now merged to just the Blues and the Greens, and incorporated into the official hierarchy. Various tactica, treatises on administrative structure, court protocol and precedence, give details of the costumes worn by different office-holders. According to pseudo-Kodinos, the distinctive colour of the Sebastokrator was blue; his ceremonial costume included blue shoes embroidered with eagles on a red field, a red tunic (chlamys), and a diadem (stephanos) in red and gold. As in the Versailles of Louis XIV, elaborate dress and court ritual probably were at least partly an attempt to smother and distract from political tensions. This is certainly the area in which Roman and Byzantine clothing is nearest to living on, as many forms of habit and vestments still in use (especially in the Eastern, but also in the Western churches) are closely related to their predecessors. Over the period clerical dress went from being merely normal lay dress to a specialized set of garments for different purposes. The bishop in the Ravenna mosaic wears a chasuble very close to what is regarded as the "modern" Western form of the 20th century, the garment having got much larger, and then contracted, in the meantime. Over his shoulder he wears a simple bishop's omophorion, resembling the clerical pallium of the Latin Church, and a symbol of his position. This later became much larger, and produced various types of similar garments, such as the epitrachelion and orarion, for other ranks of clergy. Modern Orthodox clerical hats are also survivals from the much larger and brightly coloured official headgear of the Byzantine civil service. As in China, there were large Byzantine Imperial workshops, apparently always based in Constantinople, for textiles as for other arts like mosaic. Although there were other important centres, the Imperial workshops led fashion and technical developments and their products were frequently used as diplomatic gifts to other rulers, as well as being distributed to favoured Byzantines. 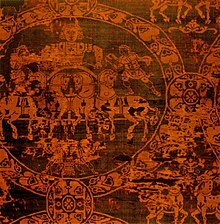 In the late 10th century, the Emperor sent gold and fabrics to a Russian ruler in the hope that this would prevent him attacking the Empire. Dawson, Timothy. Women's Dress in Byzantium, in Garland, Lynda (ed), Byzantine women: varieties of experience 800-1200, 2006, Ashgate Publishing, Ltd., ISBN 0-7546-5737-X, 9780754657378. Dawson, Timothy (2007). Byzantine infantryman: Eastern Roman empire c.900-1204. Oxford: Osprey. ISBN 978-1846031052. 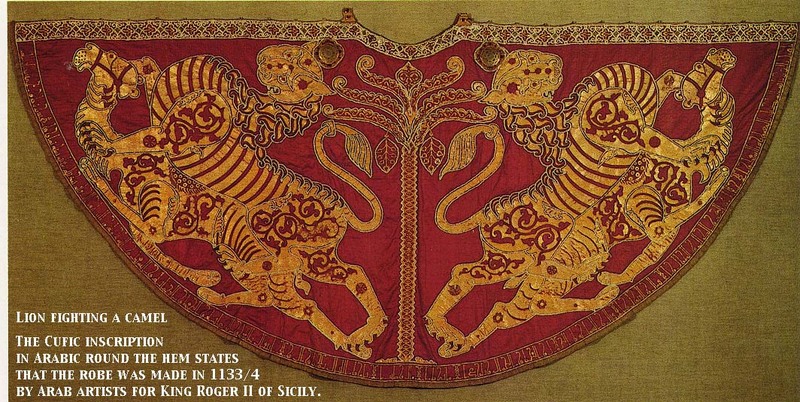 A blog on Byzantine clothing for historical reenactors.